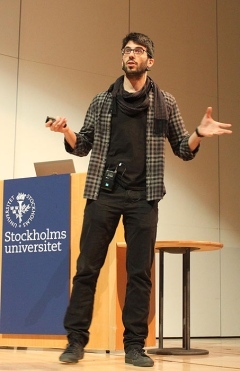 The Department of Economics, in collaboration with the Stockholm School of Economics, hosted the 2014 ENTER-Jamboree March 14-15 in Aula Magna. This also marked the 20th anniversary of the event. 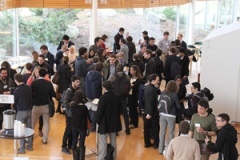 The Jamboree brings together PhD students in economics from strong European research departments for two days packed with 3 parallel sessions of student presentations interspersed with faculty presentations. 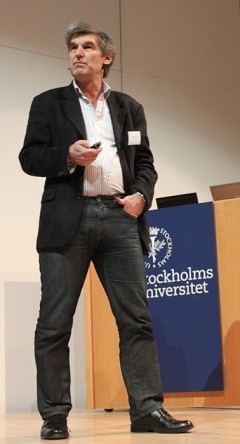 Torsten Persson from IIES at SU, and chairman of ENTER’s scientific committee, spoke on Material incentives and social norms. 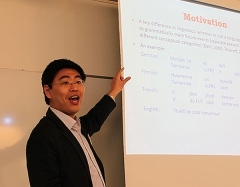 Hao Liang from Tilburg University talks about the influence of language on Corporate Social Responsibility. Hernan Seone (Universidad Carlos III Madrid) speaks on Time-varying volatility, default and the sovereign risk premium.